There is not anyway to tell a welder which tungsten is best for his application. Welders use different power supplies with different types of arc starters. Each welding application uses different gases and electrode tip configurations. Also, the material being welded will vary. Other factors such as weld speed, pulsing, number of arc starts and how the tungsten is sharpened will affect tungsten life. It is recommended that you test the tungsten before putting it into production. The numbers specify the nominal alloying composition (in weight-percent). Thus, EWTh-2 is a thoriated tungsten electrode containing nominally 2 weight-percent thoria. 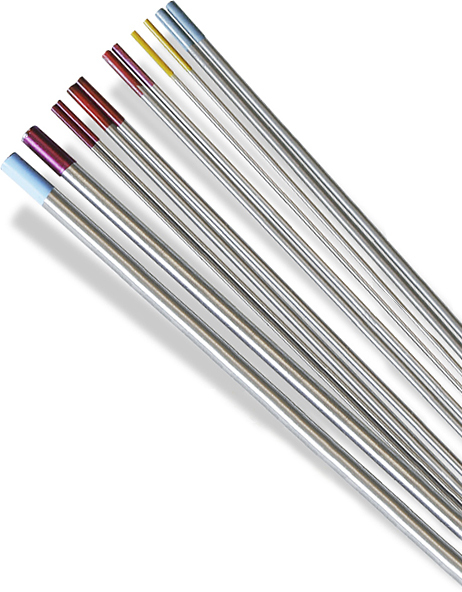 Ask PWS for a Free Sample Tungsten Electrode to Conduct Your Own Test! All tungsten electrodes packaged in boxes of 10 pieces in 7″ lengths. For special diameters & lengths contact sales: 615.793.7020 for price and delivery.